I had the pleasure of speaking with James Patrick on the Fitposium U podcast.  We talk about the transition to our dream jobs, social media marketing, the opening of ProteinHouse Gilbert that my husband and I co-own with Tom and Heidi Gaupel, and update on Fitposium 2017. I am thrilled to announce I will be speaking at the event this year! Fitposium has been epic in building the online aspect of our business and I am looking forward to giving back by helping others get started. You can get tickets at www.fitposium.com.